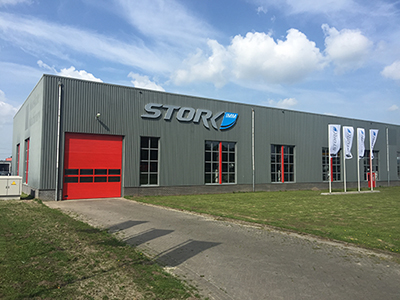 On April 22, the new hall of Stork IMM division Overhaul & Maintenance (in Dutch: R & O) was festively inaugurated. The success of the Stork injection-moulding machines, which are available in four specialized lines (potline, crateline, food line and pailline), has resulted in an increased number of used machines. To give these machines a second life, Stork founded a department that specializes in assessing and, where necessary, refurbishment of injection moulding machines. In the future, this department will also market used parts for older machines Stork . Soon the R & O department will host a separate website, showing the stock of used machines and parts. We will keep you posted!